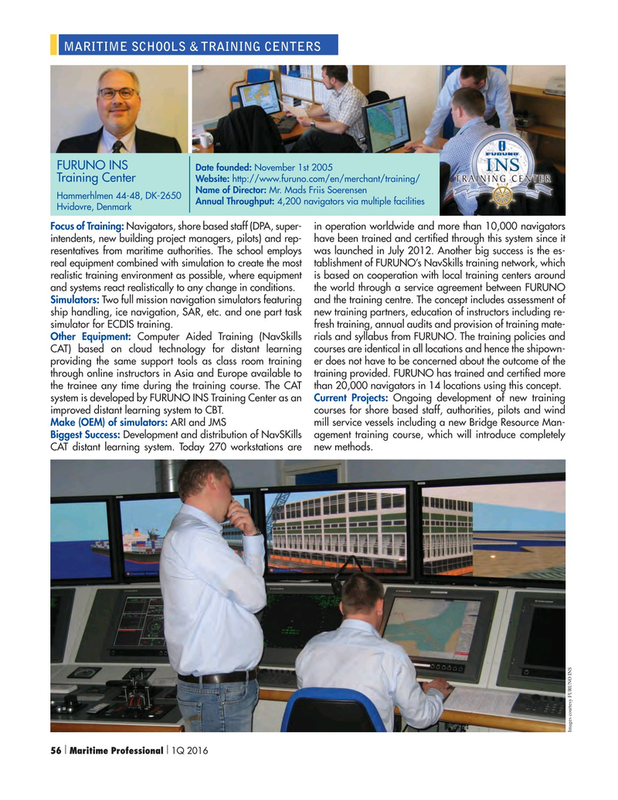 CAT) based on cloud technology for distant learning courses are identical in all locations and hence the shipown- providing the same support tools as class room training er does not have to be concerned about the outcome of the through online instructors in Asia and Europe available to training provided. FURUNO has trained and certi? ed more the trainee any time during the training course. The CAT than 20,000 navigators in 14 locations using this concept. CAT distant learning system. Today 270 workstations are new methods.